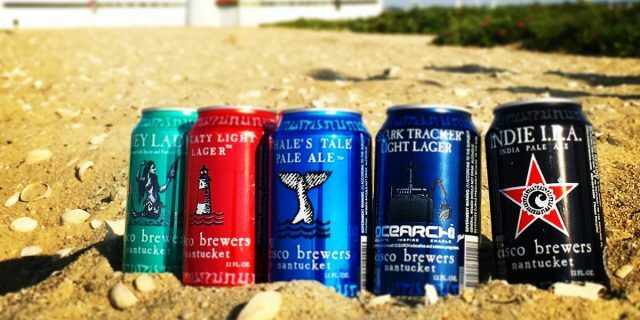 The US-based craft beer producer, Craft Brew Alliance, will spend up to US$45m on acquiring three new brands, including the Massachusetts’ Cisco Brewers for $23m. The Portland-based producer, whose flagship brand is Hawaiian craft brew Kona, will also acquire North Carolina’s Appalachian Mountain Brewery (AMB) and Florida’s Wynwood Brewing Co for an undisclosed sum, that will amount to a total of no more than $45 million, according to Brewbound. The three purchase agreements follows the launch of strategic partnerships with each brewery in 2015, and will see the producer take ownership with plans to develop each brand further. Under the new agreement, CBA will own the Cisco Brewers brand and beer business, while the Cisco founders will continue to own and operate the Cisco Brewers brewpub properties and retail merchandising. AMB and CBA formed a strategic partnership in 2015 to increase production and grow distribution of the craft brewer’s core portfolio. Under the purchase agreement, CBA will acquire the AMB brand, brewery, and pub. The transaction is expected to close later this year. Finally, CBA and Wynwood Brewing revealed a partnership in 2016, which included CBA taking a 24.5% minority interest in the brand. Under the latest agreement, CBA purchased the remaining 75.5% interest in the Miami-based brewery. The brand’s co-founders will continue to lead its operations autonomously. Andy Thomas, CBA CEO, said: “We are thrilled to welcome AMB, Cisco, and Wynwood fully into the CBA family. From the beginning we knew that our shared values and complementary interests gave us a platform to grow together. “Over the past few years, as we’ve gotten to know each of these exceptional breweries and their passionate teams, it became increasingly clear that the future would be brighter for all of us working together as one.